Orion Camera Drone Just $34.97! Down From $100! FREE Shipping! Walmart is currently offering this Mini Orion Camera Drone for just $34.97 down from $99.99 PLUS FREE shipping! Take to the skies with this quality-made drone. 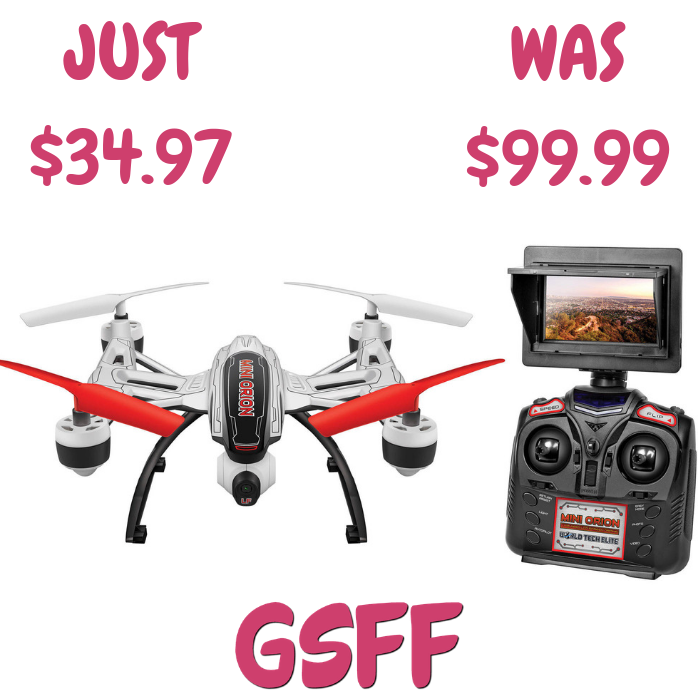 Featuring an effective camera and fantastic flight capabilities, this drone will give you the bird’s eye view you desire.